Fantastic week 9. to 16. april 2018 onboard Snefro Target with the lovely Crew and instructors Samuel and Eisha. Nice boat, fantastic dives and tasty food. Were onboard with a group of students from Ranum College, Denmark who all had the most fantastic week. Sure we Will com back. We did the three day live aboard to the Thistlegorm and had a awesome time. Everything could not have been better. Great dives, crew, food and equipment. Would do it everytime again. Thanks to Samuel and the rest of the crew. We had the best time on board the King Snefro 5! The diving was beautiful, the equipment was in good condition. The staff were incredibly friendly and helpful, and the food was excellent.Thanks to everyone we had lots of fun. I have just returned from a 3-night mini safari on King Snefro 5 and wanted to say a big thank you to the wonderful crew and our dive guides, Alaa and Yasser. We were a group of 6 and we all enjoyed it so much we're already planning our return trip. The diving was superb and the crew all worked hard to make our stay with them as enjoyable as possible. We had a great trip to Tiran and Ras Mohamed with Monji as Dive Captain. As the least experienced diver in the group it was great to have him as my dive buddy! And Cathryn enjoyed the snorkelling too thanks to the friendly crew dropping her off over the best bits of the reef. Thanks everyone! Are returning from the cruise every year they organize one of the boats of King Snefro . After having accompanied my group ( DECOSTOP Piacenza - Italy ) on Love , on the rating plate , this time it was time to try the Spirit . The quality of the boats King Snefro is outstanding and the whole crew is polite, reserved and adequate professional high service , helping to turn the cruise in an extraordinary vacation . My group is very demanding , especially with respect to diving , but the availability of the boys crew has always been total , helping to satisfy all our needs ! Special thanks to diving guides ( Basem Ragy and Ramy Wissa ) and Ms. Petra which I hope to know personally . THANK YOU!!! It has been a wonderful trip and one of the best ever! From Sharm El Shiekh we departed and cruise all the way to Brothers Islands. The dives were so exciting with a combination of reef, wall and drift dives where we saw hammerhead sharks, silky sharks, whale sharks and the legendary Oceanic white tipped sharks! It was one of the most memorable dive trip I have ever had. The crew on board are so helpful and friendly and took really good care of us. And the food was incredibly good! 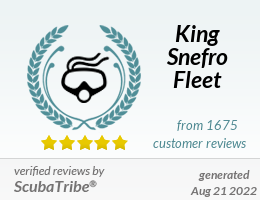 I am so thankful to King Snefro fleets for making my dream came true. I will definitely be back to explore more! Thank you and see you all again soon!! Todo muy Perfecto! Es uno de mis mejores viaje de buceo! El barco es impresionante! Recomendo a todo que quiere bucea el Mar rojo! Muy contenta con este barceo y Subexplor de Barcelona! Muchas Gracias a todo! This was the 4th Livaboard I have been on in the past couple of years and as the others were so great I was anxious as the whether this boat would match their high standards. Well, I need not have been concerned… The Boat: The boat was spacious, well laid out and spotlessly clean, with a spacious dive deck and all that was needed. The service was exceptional. Our cabin was tended to during every dive, we would return to our cabin and it had been tidied even with our clothes being neatly folded that we had left on the bed…this was done without fail during each dive…a really nice touch! The food was great and in plentiful supply…there was no way to go hungry and all dietary requirements seemed to be taken care of. All the crew were very helpful, but discreet…there when you needed them and never intrusive. The Guides: We dived with two guides, Basem Raby and Ahmed Abouelftouh were great. I must especially highlight Basem as he completed the advance open water course with my Partner. She was inexperienced and quite nervous. Basem understood this and was great with her, showing patience and calmness helping her to really enjoy her diving and show some impressive buoyancy control and enjoyment of diving throughout the week. Basem and Ahmed managed the group very well, splitting the group when appropriate according to air consumption and experience…they handled this really well to ensure everyone got the most out of their diving time. The Diving Having dived many times in Ras Mohammed, Strait of Tiran and surrounding areas we managed to cover all the favourite sites. You have a very nice stuff , that's why I am willing to come with more friends. Good job and keep it up. Dear King Snefro team, We made a mini-safari with the King Snefro 6 in December. We are writing to you because we want to say thank you for one of the most exciting diving experiences we ever had. The boat and the crew were really awesome. Our guides (Basim and Mongy) are knowledgeable, speak well english and made us feel safe and comfortable during all our dives. Everybody of the crew was very helpful and friendly but we would like to make a special mention of Ahmed (Barman) because he made the life a bord really extraordinary with his working diligence, his good humored-nature and professionalism. A part from his very good English we admired his hands-on-attitude. He would be always working on something, whether helping with the luggage, the dive equipment and of course all related to food and beverages (which by the way were very good). We really felt that he enjoys his job and he made us feel at home, offering us hot lemon tea one day when I felt a bit sick or having hot chocolate ready just after coming out of the water from the night dive. We will definitely recommend this safari and your company to all our diving friends. Thank you very much for this great experience and we hope to see you soon on a trip to the South or the Brother Island! Acabamos de regresar de estar una semana compartiendo los placeres de la mar, del buceo,la buena compañia y la gran atencion demostrada por la tripulacion de este barco. Si hay alguien pensando en pasarlo bien y disfrutar del buceo en el mar rojo,que no se fije solo en las noticias,o en las recomendaciones de la embajada de España en Egipto. Nuestra experiencia ha sido del todo positiva y pese a ir pensando en qué nos podiamos encontrar,solo hemos visto que todo alrededor estaba bien. No hemos tenido ningun tipo de problema en tierra y mucho menos en el barco,donde nos han tratado como a reyes y donde hemos disfrutado de un buceo espectacular en compañia de Giuseppe Cusato un Dive master que nos ha cuidado y enseñado muchas cosas. Un Abrazo grande para el y la tripulacion del barco.Ciao.